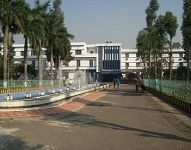 National Institute of Technology which is shortly known as (NITD) situated in Durgapur and which was bought up by an Act of Parliament in the year 1960 as one of the 8th such colleges intended to function as a pace setter for Engineering education in the country and to substitute national incorporation. This institute is a fully-funded leading Technological Institution of the Government of India and is managed by an independent Board of Governors. NIT Durgapur imparts UG programs in engineering and PG programs in engineering, science and management. Scholarship is provided for the meritorious students and students who are in need. 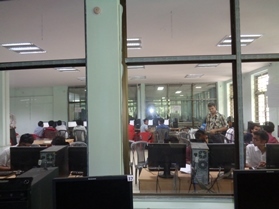 The college supports many Extracurricular where the students to engage themselves in extra-curricular and numerous student clubs are setup by the students to organize such activities like Mukti is the largest event of its kind in Eastern India, and it provides a platform for students nationwide to share their knowledge and intellect. And also conducts several Festivals where the NITDGP are also indulged in the cultural festivals prepared during the entire academic year like Recstacy- which is an annual social & cultural festival of National Institute of Technology. Near by the college location the students can find a good shopping complex, Nescafe, central park, and good restaurants where students can have fun and enjoy. what's the total course fee for doing BCA ?? National Institute of Technology, Durgapur has MCA program. In which admission is done through an entrance test, NIMCET-2017. Total fee for MCA will be around 1.3 lakhs. 1. This is Distance Education Institute? 2. If Distance Education Institute, so Kindly send Course Fees Installment Process. 3. Admission Section.? Are you Interested inNational Institute of Technology, Durgapur"? Please provide the following details.